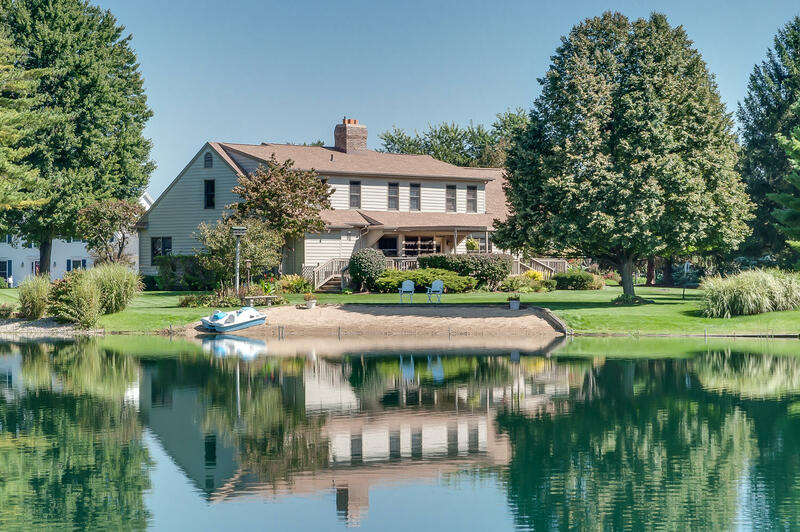 Relax and enjoy the peacefulness of the beautiful setting of this lake front home located on 1/2 acre plus cul-de-sac lot within the Quail Valley neighborhood. 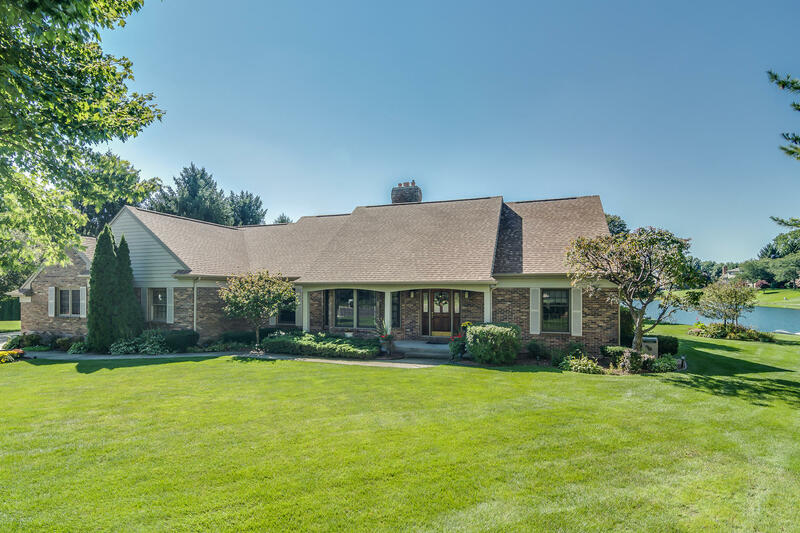 This Granger neighborhood is centrally located and within the Penn Harris Madison School System just minutes from Notre Dame, South Bend, Mishawaka, University Park Mall, Toll Road, and the Knollwood Country Club. The first floor features a spacious master suite with a heated tile bath floor, formal living and dining rooms, a large eat-in island kitchen, and a cozy family room complete with a coiffured ceiling and brick fireplace. The upstairs features 3 additional large bedrooms and two full baths. The basement includes a large family room, a workout room, den, a workshop and plenty of storage. The large three car garage has extra storage as well. The beautifully landscaped yard and large deck overlooking the lake gives ample space for outdoor living and entertaining. Many recent updates include, cherry kitchen cabinets fronts - self closing drawers and solid surface counters, roof and gutters, well pump, outdoor and landscape lighting, water heater, deck flooring and 2 exterior doors and more. This could be the one... schedule your showing today! !